US Attorney General Jeff Sessions once again displayed his ignorance about drugs Wednesday as he claimed that marijuana is "only slightly less awful" than heroin. In the same speech, he acknowledged rising heroin and prescription opioid overdose death levels, but failed to note that no one dies from overdosing on marijuana. Heroin produces physical addiction and is linked to thousands of overdose drug deaths each year. Marijuana does not produce physical addiction, and although it may lead to psychological dependency for a small percentage of users, the dependency rate is much lower than it is even for users of alcohol and tobacco, both of which are more dangerous than marijuana. Sessions' uninformed claim is likely to increase jitters in the country's nascent legal marijuana industry as it confronts an attorney general whose rhetoric so far has strongly suggested he would like to crack down on legal weed -- although he has yet to take any concrete steps to do so. Sessions made the claim in prepared remarks for a speech to state, local, and federal law enforcement in Richmond, Virginia. The long-time foe of marijuana and marijuana law reform again sketched his stance toward pot, saying "life-wrecking dependency" on marijuana is "only slightly less awful" than heroin addiction. I realize this may be an unfashionable belief in a time of growing tolerance of drug use. But too many lives are at stake to worry about being fashionable. I reject the idea that America will be a better place if marijuana is sold in every corner store. And I am astonished to hear people suggest that we can solve our heroin crisis by legalizing marijuana -- so people can trade one life-wrecking dependency for another that's only slightly less awful. Our nation needs to say clearly once again that using drugs will destroy your life. Sessions would not be so "astonished" at the notion that access to marijuana lead to declines in opioid overdose deaths if he actually followed the field. At least three recent studies have found a link: A 2014 Johns Hopkins study found that states with medical marijuana laws have a 25% lower opioid death rate than other states; a 2015 RAND study found a decline in opioid deaths of between 16% and 31% in states that had medical marijuana dispensaries; and a 2016 Health Affairs study found that doctors in medical marijuana states wrote fewer opioid prescriptions for Medicaid patients. In the '80s and '90s, we saw how campaigns stressing prevention brought down drug use and addiction. We can do this again. Educating people and telling them the terrible truth about drugs and addiction will result in better choices. We can reduce the use of drugs, save lives and turn back the surge in crime that inevitably follows in the wake of increased drug abuse. But if Sessions wants to educate Americans on "the terrible truth" about drugs, he should probably start with himself. An attorney general who cannot recognize the difference between marijuana and heroin is not one who is fit to pronounce on such matters. Florida Decriminalization Bills Filed. A pair of Democratic lawmakers has filed identical decriminalization bills in the House and Senate. State Rep Carlos Guillermo Smith (D-Orlando) filed House Bill 1403, while state Sen. Jeff Clemens (D-Lake Worth) filed Senate Bill 1662. The bills would make possession of up to an ounce a civil violation punishable by a fine of no more than $100. Under current Florida law, small time marijuana possession is a misdemeanor punishable by up to a year in jail and a $1,000 fine. Rhode Island Attorney General Gins Up Anti-Legalization Campaign. State Attorney General Peter Kilmartin (D) launched a campaign against marijuana legalization Thursday. Kilmartin said he was mobilizing lawmakers, business leaders, and others concerned about public health and public safety issues to fight ongoing efforts in the legislature to legalize it. He's joining forces with Smart Approaches to Marijuana, among others. Florida Bills Would Have Dealers Facing Manslaughter Charges for Opioid Overdose Deaths. A pair of Republican state lawmakers has filed identical bills that would allow prosecutors to bring manslaughter charges against people who sold opioids to people who overdosed and died on them. Sen. Gregg Steube (R-Sarasota) filed Senate Bill 150 Tuesday, while Rep. Jim Boyd (R-Bradenton) filed House Bill 477. Attorney General Sessions Signals He Could Reverse Obama Policy of Seeking Less Serious Charges in Drug Cases. Sessions sent a memo to federal prosecutors Wednesday calling on them to crack down on violent crime, and in that memo, he hinted at rolling back Obama administration policies directing federal prosecutors to not always seek the most serious charges in drug cases and to avoid seeking mandatory minimum sentences by leaving drug quantities out of charging documents. 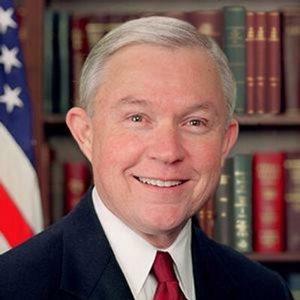 "I encourage you to employ the full complement of federal law to address the problem of violent crime in your district," Sessions wrote. "Further guidance and support in executing this priority -- including an updated memo on charging for all criminal cases -- will be forthcoming." Bolivian President Signs Law Nearly Doubling Amount of Legal Coca Grown. President Evo Morales, a former coca grower himself, signed into law Wednesday a bill that will increase the amount of coca that can be legally planted from 30,000 acres to 55,000 acres. "We want to guarantee coca supplies for life," he said. Eleven US Senators Urge Trump Administration Not to Mess With Legal Marijuana. Eleven senators, led by Lisa Murkowski (R-AL) and Elizabeth Warren (D-MA) sent a letter to Attorney General Jeff Sessions Thursday urging him to uphold the Obama administration policy of letting states implement their own marijuana laws. "We respectfully request that you uphold DOJ's existing policy regarding states that have implemented strong and effective regulations for recreational use," they wrote. "It is critical that states continue to implement these laws." Republican Congressman Files Federal Marijuana Legalization Bill. Freshman Virginia Republican Rep. Thomas Garrett has filed a legalization bill, House Resolution 1227, that is identical to the one filed last year by Sen. Bernie Sanders (I-VT). Unlike the Sanders bill, which garnered no cosponsors, this one already has three. Garrett played up the states' rights angle in announcing the bill: "Virginia is more than capable of handling its own marijuana policy, as are states such as Colorado or California," he said. New Mexico Senate Passes Bill Lowering Marijuana Penalties. The Senate Thursday approved Senate Bill 258, which would make possession of less than a half ounce an administrative offense punishable by no more than a $50 fine. Possession of between a half ounce and an ounce would be a misdemeanor, punishable by no more than a $100 fine. The bill now goes to the House. Mississippi Bill to Let Pharmacies Dispense CBD Cannabis Oil Goes to Governor. The House Thursday approved Senate Bill 2610, which would amend the state's existing CBD cannabis oil law to allow pharmacies to join the University of Mississippi Medical Center in dispensing the medicine. The bill has already passed the Senate and now heads to the desk of Gov. Phil Bryant (R). Maryland Governor Declares Opioid State of Emergency. Gov. Larry Hogan (R) announced Wednesday that he is declaring a state of emergency around the state's heroin and opioid abuse problem. "I will be signing an executive order declaring a state of emergency in response to rapid escalation of the heroin and opioid crisis in our state," Hogan said. "With this continuing threat increasing at such an alarming rate, we must allow for rapid coordination with our state and local emergency teams." Hogan said issuing the emergency notice would give the state and local emergency agencies more flexibility to deal with the problem. Idaho House Passes Civil Asset Forfeiture Reform Bill. The Republican-controlled House voted overwhelmingly Thursday to approve House Bill 202, which would bar police from seizing cash or property merely because it was in close proximity to an illegal substance. The bill also bans seizing vehicles unless they are connected to drug-dealing offenses, requires judicial approval for police to keep assets, and requires police to report on seizures. The bill passed despite opposition from the Idaho Sheriffs' Association. It now goes to the Senate. 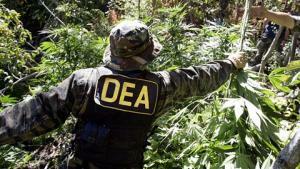 US to Pressure Colombia to Cut Coca Crop. American drug officials will go to Bogota next week to "engage in serious discussions with the Government of Colombia" about the sharp increase in coca cultivation and cocaine production in the country in recent years, they said in a press briefing on Thursday. Colombia has seen a spike in coca cultivation in 2014 and 2015, the last years for which data is available. "We are working on the problem. It is a serious problem," said William R. Brownfield, assistant secretary of the US Bureau of International Narcotics and Law Enforcement Affairs, during Thursday's press briefing. "Both governments recognize this fact. Both governments realize that it is neither in the interest of Colombia, nor in the United States of America, nor, frankly, any country in the Western Hemisphere or the world, that there be more than a doubling of cocaine production coming from Colombia over the last four -- three or four years." Justin Trudeau Says Marijuana Legalization Coming, But Rejects Drug Decriminalization for Canada. The Canadian prime minister said Thursday he hoped to have a marijuana legalization bill before parliament this summer, but rejected calls from British Columbia public health officials to decriminalize drug possession in a bid to reduce overdose deaths. "I have a tremendous amount of respect for anyone who is on the front lines," he said. "I always listen very carefully to what they have to say. But at the same time, I can absolutely confirm that we are moving forward on a framework to regulate and control marijuana to protect our kids and keep our communities safer from organized crime, and we are not planning on including any other illicit substances in the movement toward legalizing, controlling and regulating." International Narcotics Control Board Rips Philippines Drug War. In its annual report, released Thursday, the INCB said President Rodrigo Duterte's bloody war on drug users and sellers violates international drug control treaties. "The Board wishes to bring once again to the attention of all Governments that extrajudicial action, purportedly taken in pursuit of drug control objectives, is fundamentally contrary to the provisions and objectives of the three international drug control conventions, under which all actions must be undertaken within the due process of law,"the report said. The INCB said that it had issued a statement calling on the Philippines government to issue an immediate and unequivocal condemnation and denunciation of the killings of individuals suspected of involvement in the illegal drug trade. It also called on the government to put an immediate stop to such actions and bring the perpetrators of such acts to justice. Fatal heroin overdoses have quadrupled in five years, elected officials in legal marijuana states push back on Trump threats, Philly civil asset forfeiture lawsuit wins class action status, and more. Truth in advertising? 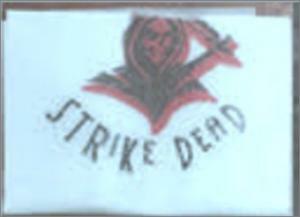 Branded heroin seized by the New Jersey State Police. Elected Officials From Legal Marijuana States Slam Notion of Crackdown. White House press secretary Sean Spicer's announcement last Thursday that the Trump administration was thinking of going after legal marijuana continues to generate sharp pushback. On Sunday, Colorado Gov. John Hickenlooper (D) said now was "the wrong time to pull back" and that a federal crackdown would create "a level of conflict that's going to be very difficult." Meanwhile, Oregon Sen. Ron Wyden (D) called on the administration to "respect the decisions of Oregon voters." Michigan Legalization Initiative a Compromise Effort, Draft Language Now Available. A number of Michigan marijuana legalization stakeholders have come together to create a draft of a proposed 2018 initiative. The draft includes a 12-plant personal cultivation limit, would limit initial business licenses to existing medical marijuana businesses, and would include "microbusiness" licenses for small commercial grows, among other provisions. The effort is being led by the Marijuana Policy Project, which has been consulting with MINORML, MILegalize 2018 (the folks behind a 2016 effort that came up just short on signature gathering), the Michigan Cannabis Coalition, the Michigan ACLU and others. MPP hopes to have a final draft to present to state officials by late April. Virginia Legislature Approves Bill to End Driver License Suspensions for First-Time Marijuana Possession. The General Assembly passed House Bill 2051 last Friday. Under the bill, first-time pot possession offenders will not have their licenses automatically suspended for six month. 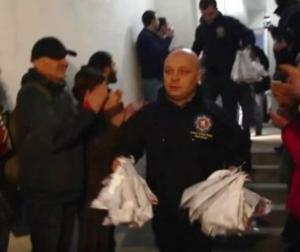 Instead, a judge has the option of ordering them to do 100 hours of community service. Minors would still see their licenses automatically suspended, as would people caught indulging while driving. The bill now goes to the desk of Gov. Terry McAuliffe (D). Iowa CBD Expansion Bill Stalled. A bill that could have expanded the use of CBD cannabis oil ran into a brick wall in the House Public Safety Committee last Thursday. Committee Chair Rep. Clel Baudler (R-Greenfield) said he had to pull House Study Bill 132 because there wasn't enough support from Republicans to get it out of committee. Fatal Heroin Overdoses Quadrupled in Five Years. A report from the Centers for Disease Control and Prevention (CDC) finds that fatal heroin overdoses jumped from 3,000 in 2010 to more than 12,000 in 2015, a four-fold increase. Heroin killed slightly more people than prescription opioids. The highest drug overdose death rates were in West Virginia, New Hampshire, Kentucky, and Ohio, the study found. Lawsuit Challenging Philadelphia Civil Asset Forfeitures Wins Class Status. A federal judge has granted class certification to plaintiffs suing the city of Philadelphia over its civil asset forfeiture program. The plaintiffs are arguing that the program creates an unconstitutional conflict of interest for law enforcement agencies, and the granting of class certification "means that the four named plaintiffs can officially represent the tens of thousands of property owners with asset that have been seized in the past five years," said Institute for Justice attorney Darpana Sheth, who is representing the plaintiffs. Philadelphia prosecutors have filed more than 20,000 civil forfeiture actions since April 2012, the beginning date for the lawsuit. It's going to cost big bucks to get into the Arkansas medical marijuana growing business, a petition urging Donald Trump not to let the DEA ban kratom seeks signatures, there is asset forfeiture action in three states, and more. Arkansas Sets Grower License Fee at $100,000. People who want one of the five commercial medical marijuana cultivation licenses the state is preparing to issue better have deep pockets. 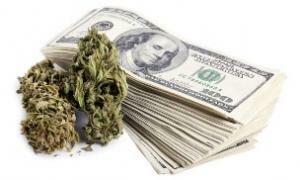 The Medical Marijuana Commission has set an annual fee of $100,000 for those licenses. But wait, there's more: That's in addition to a $15,000 application fee, only half of which will be refunded if the application is rejected. And applicants must show proof they have a million dollars in assets or surety bond and $500,000 in cash. One commission member argued for a lower, $15,000 license fee, saying he didn't want some residents to be shut out of the opportunity, but that move didn't fly. Less Than Three Weeks Remain to Sign Trump Kratom Petition. 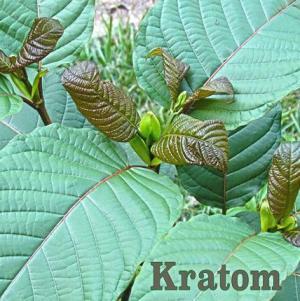 The American Kratom Association has organized a petition urging President-elect Donald Trump to halt the DEA's effort to criminalize kratom or to reverse any last-minute ban that might occur under the Obama administration. The group has set a target of 25,000 signatures before January 22, but only has 8,000 so far. Ohio Governor Signs Naloxone Expansion Bill. Gov. John Kasich (R) has signed into law Senate Bill 319, which expands access to the anti-overdose drug naloxone to entities such as homeless shelters, halfway houses, schools, and treatment centers that deal with populations at higher risk of overdose. It also offers civil immunity to law enforcement officers who carry and use naloxone. Kansas Bill Would Undo Police Asset Forfeiture Reporting Requirements. The first bill introduced in the 2017 legislative session, Senate Bill 1, would repeal a state law requiring law enforcement agencies to file annual reports on the money and other assets they seize. The bill is the creation of the Legislative Committee on Post Audit, which filed a report last summer noting that few police agencies comply with the reporting requirements, so the committee's solution was to kill the requirement. The bill is not yet available on the legislative website. The session starts next week. Michigan Bill Would Reform Civil Asset Forfeiture. State Rep. Peter Lucido (R-Macomb County) has introduced House Bill 4629, which would reform the state's forfeiture laws by killing a provision that requires property owners whose property is seized to pay 10% of what police feel it is worth within 20 days to get the property back. Lucido said that the next step is getting rid of civil asset forfeiture. The bill is not yet available on the legislative website. Ohio Governor Signs Civil Asset Forfeiture Reform Bill. Gov. John Kasich (R) has signed into House Bill 347, which limits civil asset forfeiture proceedings to cases involving at least $15,000 in cash and requires a criminal conviction or at least a criminal charge be filed in most cases before forfeiture proceedings can begin.